NIKKEI 225; 14749.13 yen around will be the recovery high. Today’s analyze is NIKKEI 225. 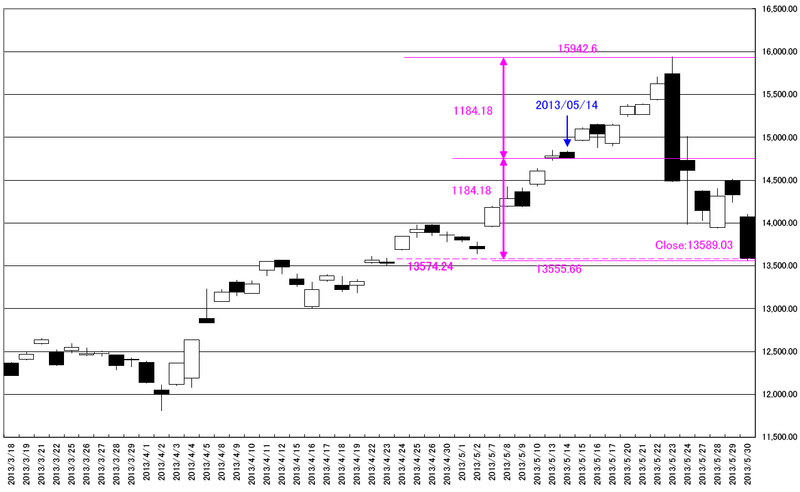 In 05/29/2013, we reported “NIKKEI 225; From 13736.98 to 13574.24 will be the resistance point; Automated “HEKABI” extract algorism used”. 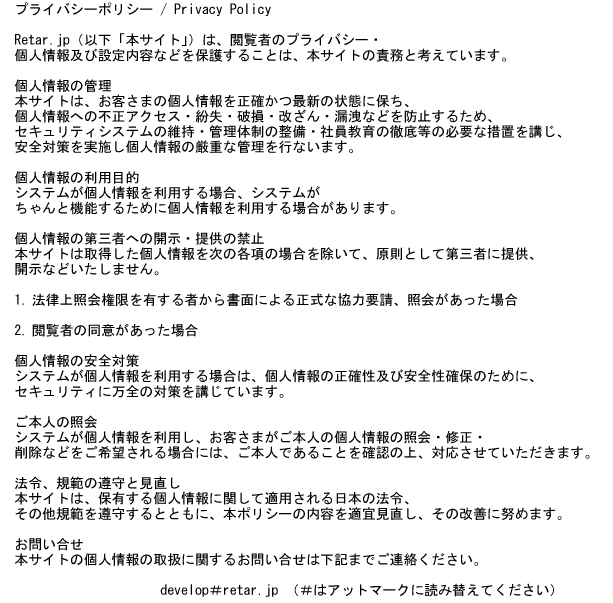 We can confirm the efficiency of the algorithm. 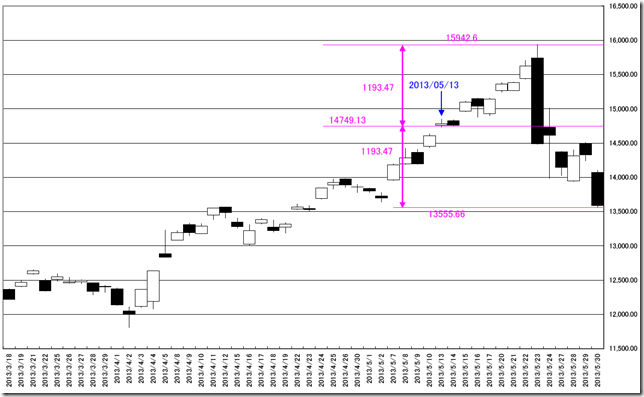 The recovery high will be 14749.13yen around. 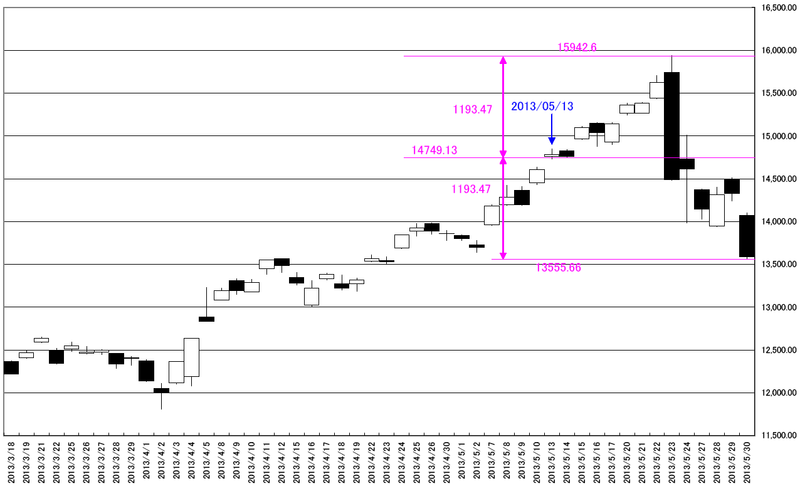 The 17 business day from 05/13/2013 is 06/06/2013 and this day will be “HENKABI”. 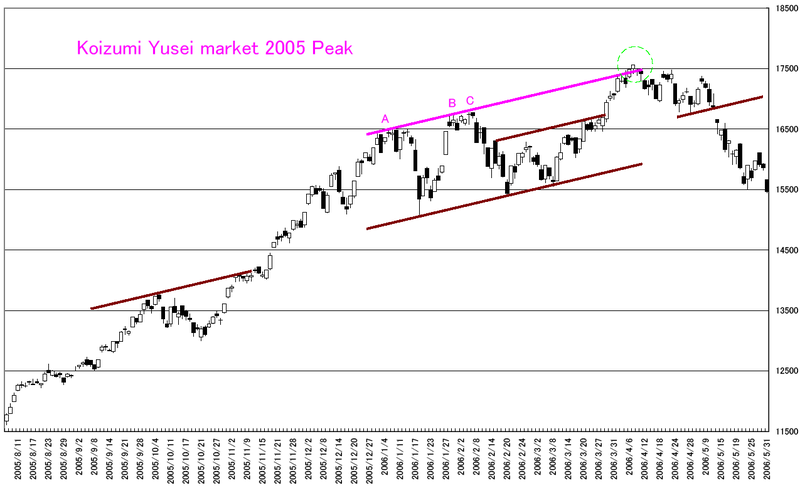 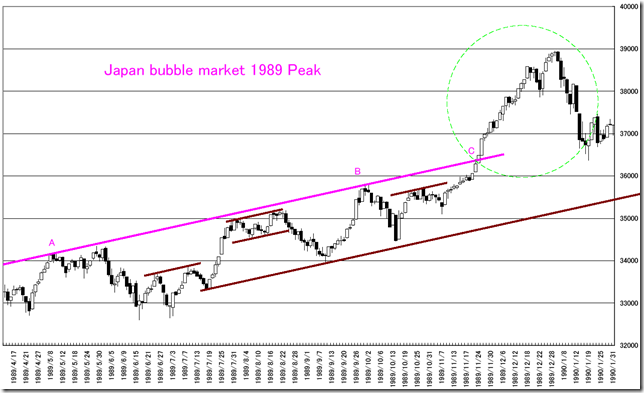 NIKKEI 225; Comparing the past market and “ABENOMICS” market. 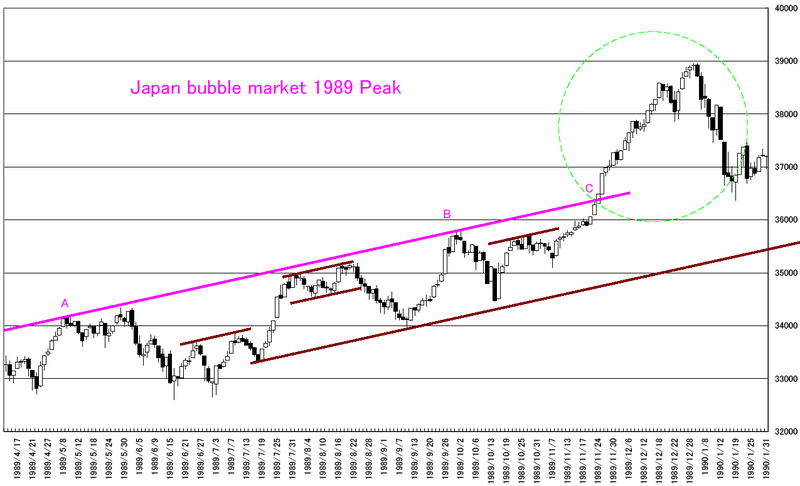 The NIKKEI veritas in this week reported the similarity of the past markets and “ABENOMICS” market. 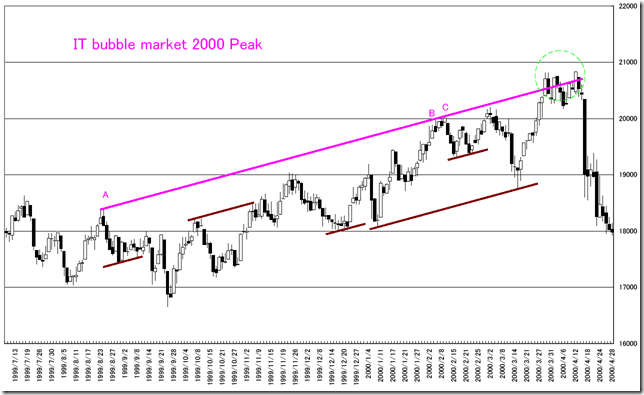 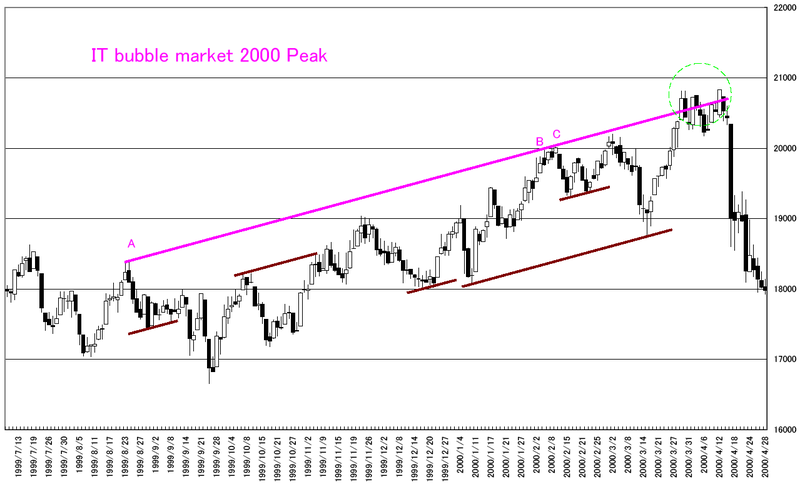 We added our trend line rule (See 12/31/2012 and 01/01/2013 report) on these four types of market and find out the market took its peak at breaking three point resistance lines. 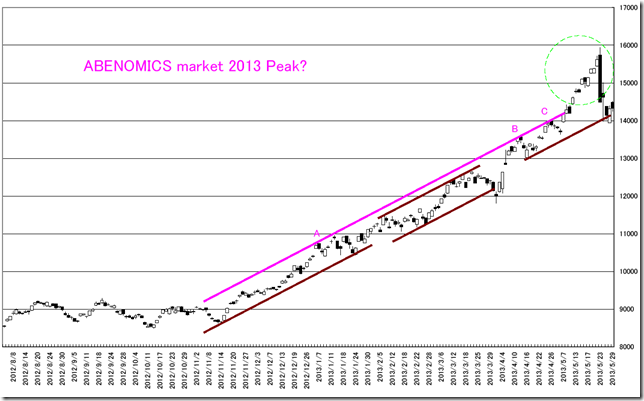 The recent “ABENOMICS” market has very close similarity to the past market peak. 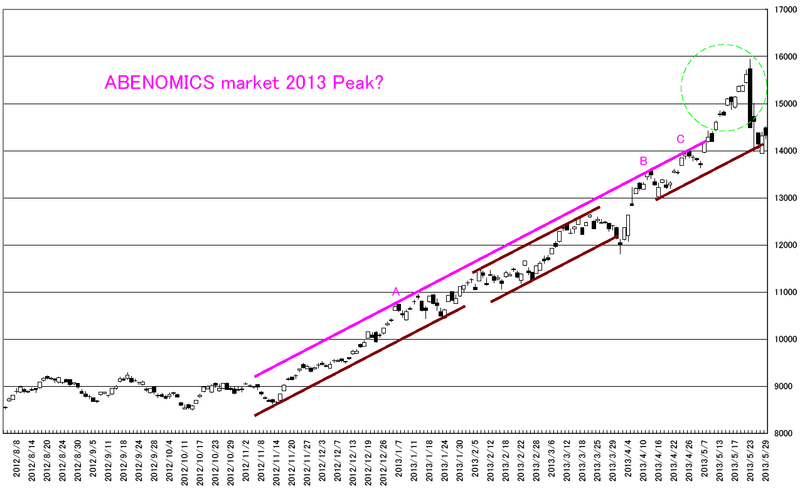 We can find “there are no overheating” on some newspaper but we can not easily follow “ABENOMICS” market.